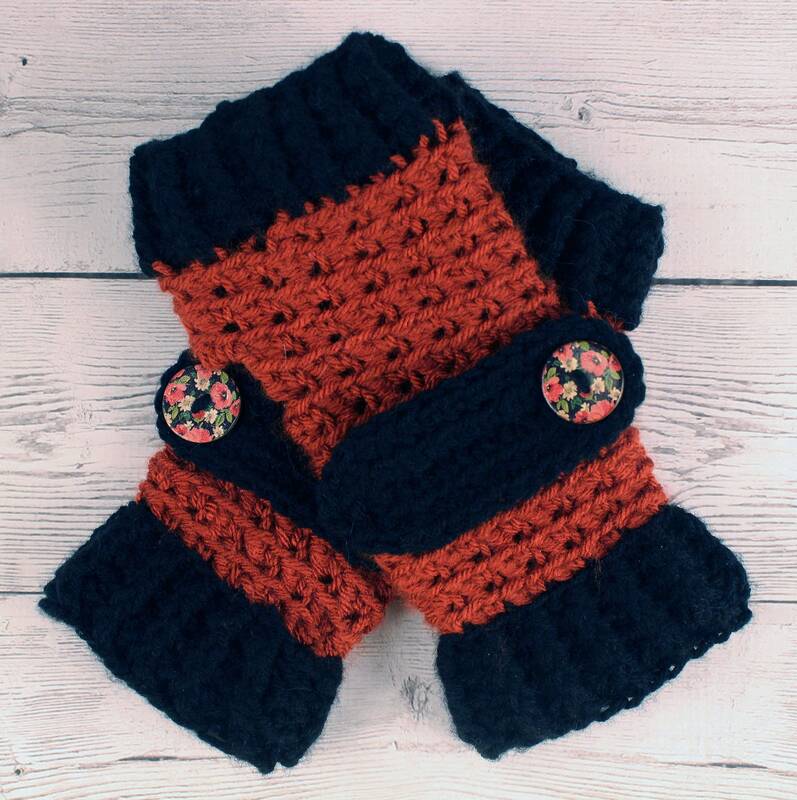 Lovely pair of crocheted fingerless gloves with button straps. 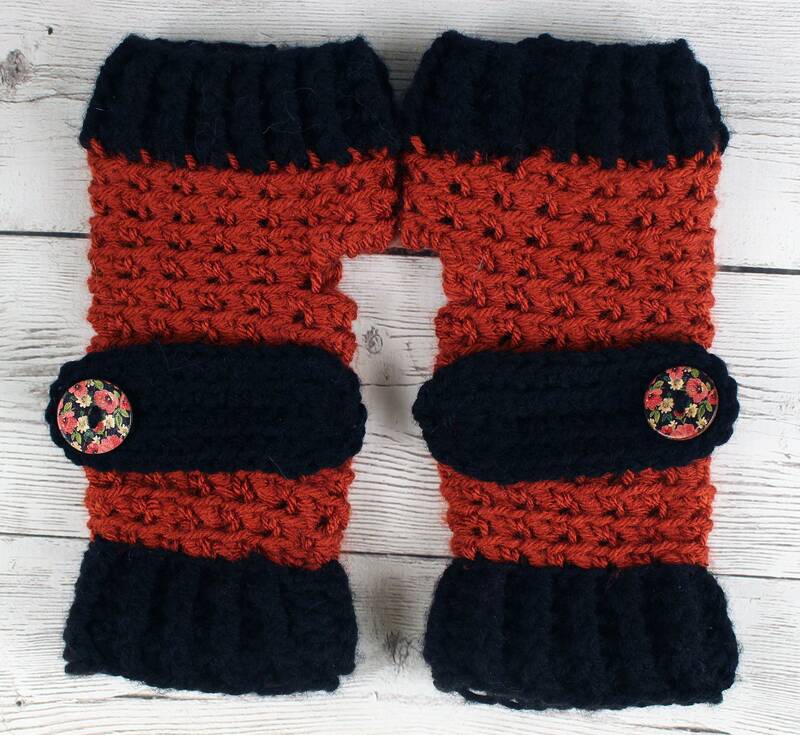 I used Acrylic yarn in terra cotta (deep orange) and black, embellished them with a lovely button strap, and sized them to fit an average women's hands with lots of stretch. Machine wash and dry preferably on the gentle cycle.